As Trend reported citing Ministry of Defense of Azerbaijan, on July 15 in the morning, the reconnaissance-sabotage group of Armenia attempted to cross the line of contact of the troops in the direction of the Gazakh region of the Azerbaijani-Armenian state border. The attempt of the enemy to commit provocation was suppressed as a result of the vigilance of the units of the Azerbaijani Army. A member of the sabotage group, which was forced to retreat, having suffered losses, was taken prisoner. 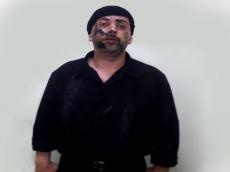 According to the captive, he is Karen Kazaryan (born in 1984). During the suppression of the provocation, the Azerbaijani Army did not suffer any losses.